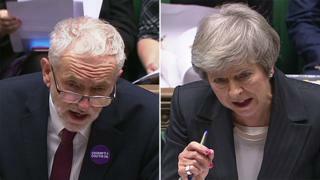 Home Latest News 2019 What did Corbyn ask May at PMQs in 2018? 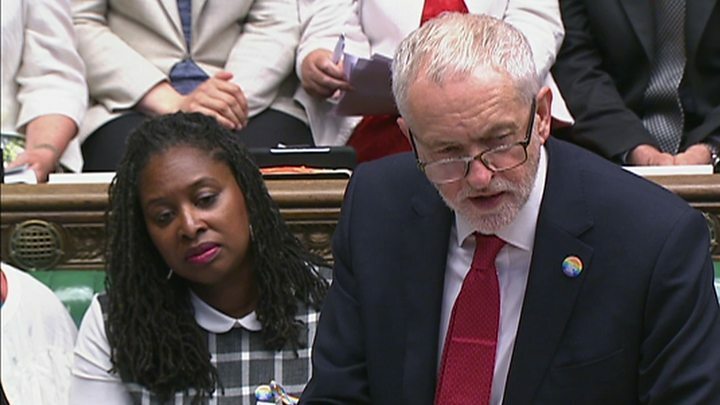 What did Corbyn ask May at PMQs in 2018? Most Wednesdays when Parliament is sitting, Jeremy Corbyn does battle with Theresa May at Prime Minister’s Questions. The Labour leader gets six questions on topics of his choosing. The prime minister, who also faces questions from backbench MPs and the SNP’s leader at Westminster, has no idea what Mr Corbyn is going to quiz her about, although she comes prepared for most eventualities. Mr Corbyn has sometimes surprised MPs with his choice of questions on Wednesdays. On 4 July – the week before the cabinet met to sign off Theresa May’s Brexit plan at Chequers – he caught the prime minister off guard by leading on local bus services. Media captionJeremy Corbyn says having a free pass is “not much use if there isn’t a bus”. Some commentators say the Labour leader prefers to avoid Brexit in favour of more bread-and-butter subjects, such as hospital waiting times or mental health services. But the statistics for 2018 tell a different story, with Brexit making up more than 40% of his questions. 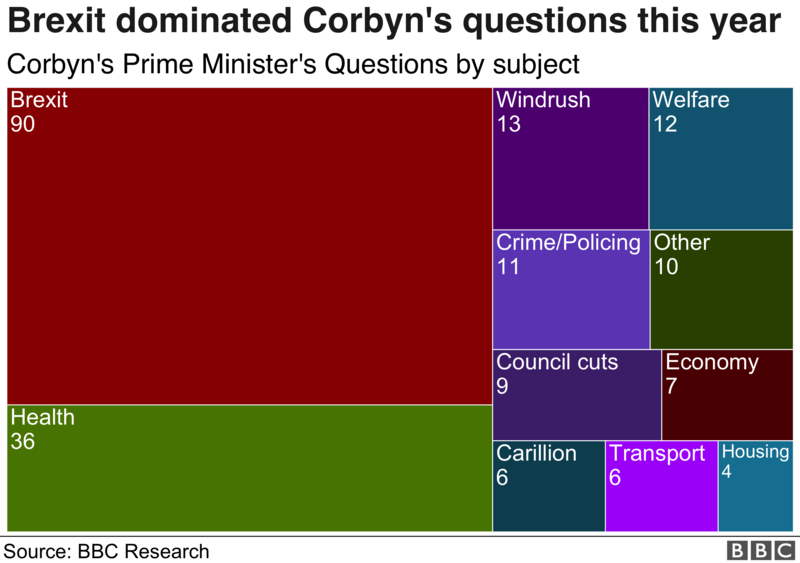 This represents a big change from 2017, when Brexit was the subject of 14% of Mr Corbyn’s 162 questions, behind health, on 18%, and the economy, on 19%. The Labour leader stepped up his Brexit questioning towards the end of 2017 and into 2018, according to BBC analysis, as the government ran into more trouble over its strategy for leaving the EU. Mr Corbyn has spent a lot of his political life campaigning on issues around foreign affairs. In 2018, he only raised non-Brexit international affairs twice, when he criticised the British government’s relationship with Saudi Arabia. 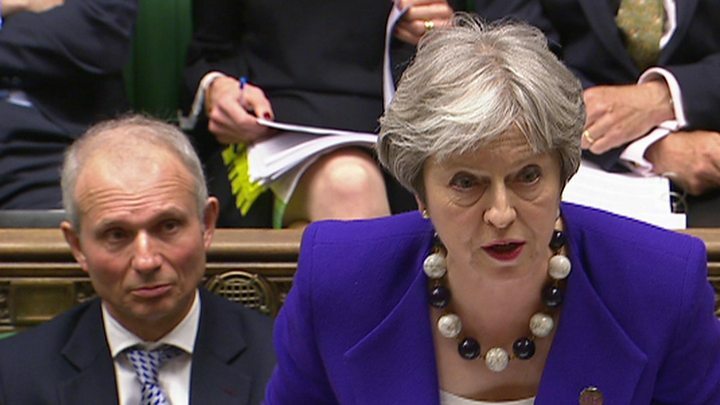 The Windrush scandal – over the treatment of British citizens of Commonwealth descent – dominated PMQs for two weeks, leading up to the resignation of the then-Home Secretary Amber Rudd at the end of April. How long does PMQs last? It is allocated a 30-minute slot in the House of Commons every Wednesday, but Speaker John Bercow routinely allows it to over-run to allow more backbenchers to get questions in to the PM. Last year’s sessions lasted an average of 45 minutes. On 13 June, MPs asked the prime minister questions for over 54 minutes. This was largely due to the expulsion of Ian Blackford – Westminster leader of the Scottish National Party – after he refused to sit down, having asked that the House of Commons “sit in private”. His party colleagues proceeded to follow him out of the chamber. As the leader of the third-largest party in the House of Commons, Mr Blackford is granted two questions a week. He used 41 of his questions this year to ask the prime minister about Brexit, with another eight on foreign affairs.